Text messaging is a relatively new form of communications for most people, but it is also one that’s surging towards massive popularity. There are many situations where quick messages are more convenient than phone calls. The only problem is the price. On most carriers, text messaging is a bit of a racket. 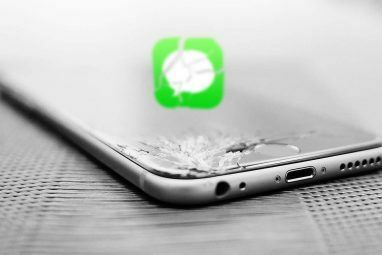 Each message is literally no more than a few kilobytes in size, yet the price for 500 texts per month is often $15 or more. If you have a data plan however, Kakaotalk can make sure you never pay for texts again. Part of the reason given for the expensive pricing of text messaging is the method used to communicate them. 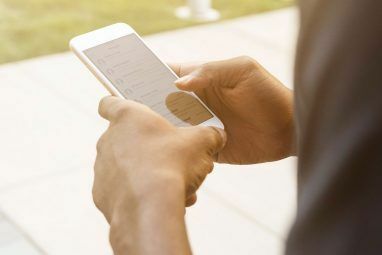 Rather than using the mobile broadband connection available on most smartphones, text messages utilize the same cellular network used for calls. This means there’s wider coverage, but there’s also less bandwidth, and that’s used to justify (accurately or not) the high prices. A way to side-step this is to use mobile broadband Set Up Wireless Internet Access On Windows Laptop via Cellphone Set Up Wireless Internet Access On Windows Laptop via Cellphone Read More instead, and that’s exactly what Kakaotalk does. In essence it operates like an instant messenger on a computer. So long as you have an Internet connection on your phone, you have free SMS texting. What makes Kakaotalk a particularly nice solution to the problem of text messaging charges is the way it works. Although you can effectively do the same thing with other apps, such as imo.im imo.im - Quite Possibly The Multi-Network Instant Messenger Of Your Dreams imo.im - Quite Possibly The Multi-Network Instant Messenger Of Your Dreams Read More , many of those apps give the definite “feel” of being a PC-like instant messenger with a mobile interface. Kakaotalk, however, replicates the SMS interface on a typical smartphone. Conversations appear in the Chats tab of the interface, which appears very similar to the conversations tab of most Android SMS apps. The flow of the messages is the same, with user images appearing next to text bubbles, and the app triggers a notification sound and a message preview whenever you receive a new text. In addition to texting, you can accomplish everything that would be provided by MMS. This includes pictures, video and audio clips. Indeed, the quality of multimedia sent via Kakaotalk will likely be higher, since MMS often cuts down the quality of media being transferred. It’s also possible to invite multiple people to a text conversation, which I find can be handy in work situations where multiple people need to communicate, but can’t make a call because the work environment is either too quiet or too noisy. The only real problem with Kakaotalk is the fact that, since it is an online instant messenger, you can only communicate with others who are using this app and only so long as you have access to mobile broadband. This means that your contacts list doesn’t automatically appear. Although the app will make some attempt to locate contacts already using it, that feature seems to require more polish. This app won’t be able to help you much if you’re trying to text grandma for free – unless grandma is comfortable enough with her smartphone to download and install Kakaotalk, then load it up and add you as a friend. I’ve found Kakaotalk to be endlessly useful. I only subscribe to the base 250 text message plan on my carrier. While the fact that both you and the person you’re using need to install this app seems like a pain, it’s actually not. 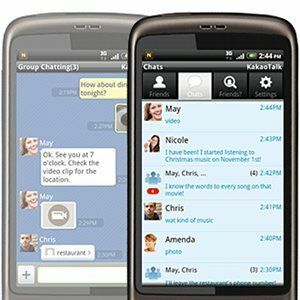 I find that 95% of my texts are sent to only a few specific people, so once we all agreed to install Kakaotalk, we saved a lot of money by using this free SMS texting system. Kakaotalk is available for Android and iPhone. 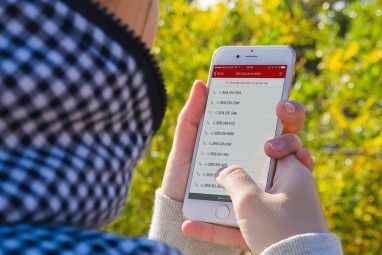 It can also be used with the iPad and iPod Touch, but you’ll need to verify your account with a phone number capable of receiving SMS messages. Can't you use Ebuddy - A Multi-platform Messenger built for phone. Yes, you can. There are several apps that accomplish the same thing. Textfree is the best option. For both android and iOS. U can text any number and they give you a number that people can text you. I can't Belive more people don't know about it. And if your an iOS user you can make calls also! Why don't you guys feature textfree instead of this crap?? why not just use Google Voice? you can SMS text any phone #, not just people who also join. this is the fault of most text messaging replacement apps, IMO.